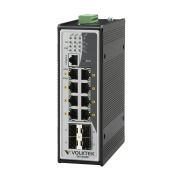 The NSH-3428P is the new genera on of Volktek Managed L2 Gigabit Switch designed for growing demands of popular IP surveillance applications which is suitable for both small and medium sized businesses such as hotels, offices and business complexes. 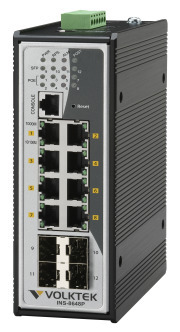 The switch offers enhanced L2 features with intelligent PoE+ (802.3af/at) for up to 24-ports Gigabit Ethernet and stands for a total power budget 370W or 740W (with optional extended power module). 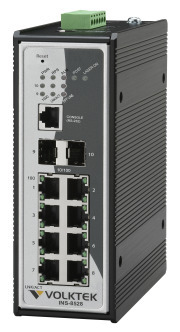 The switch supports up to 4-slots Gigabit SFP for redundant network transmission using either multi mode or single mode. The development is explicitly planned for converged networks where power, voice, video, data are all carried on a single network cable.